This lovely "White Buffalo" Stone is a wonderful sight. 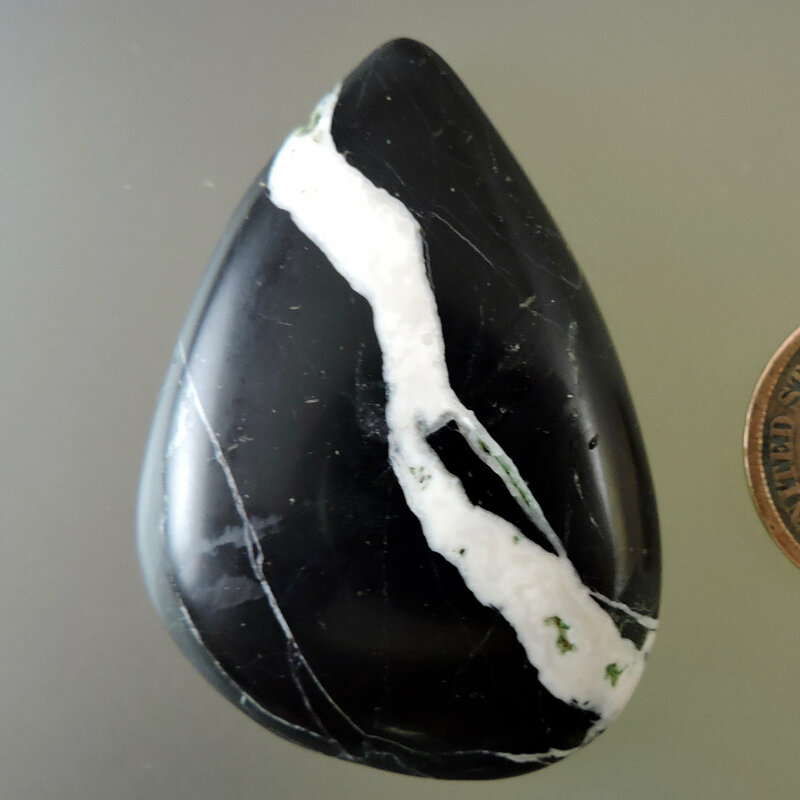 The material is White Magnesite in Black Chert-ish material. The appearance is caused by regional Brecciation. it was first discovered and named by The Otteson family who are big in the mining of turquoise in Nevada and colorado. This material has taken the world by storm and is very popular with artists everywhere. Enjoy this lovely Cabochon! White Buffalo is known for its calming properties and it's ability to improve imagination. It can also bring deep peace and relaxation.